Here are pictures of a Classic Industries Hitch. 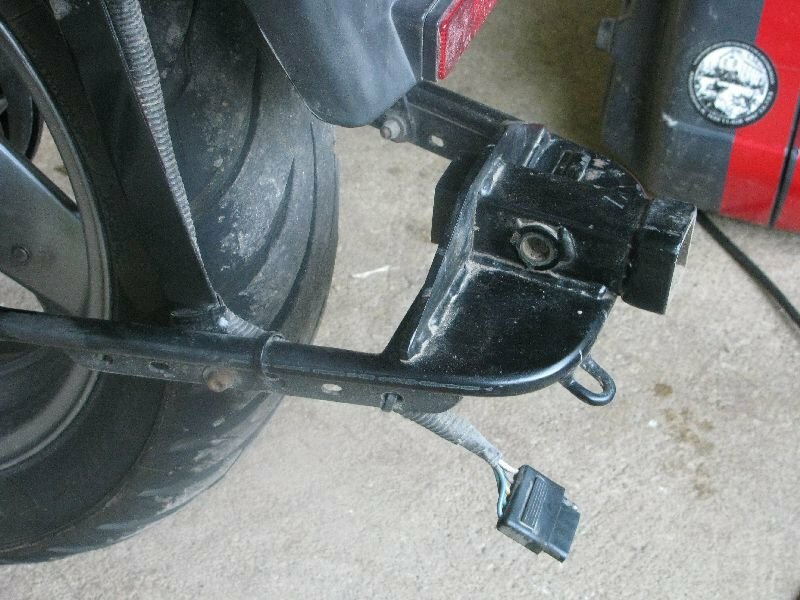 Here are some pictures of another type hitch. 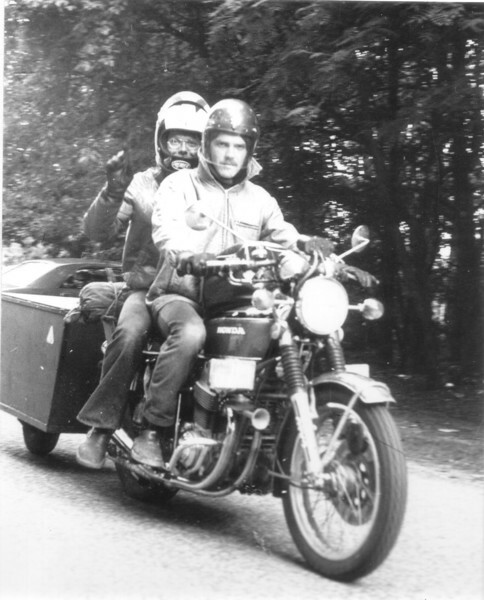 Have to go back to 1975, by that time I've build my own single wheel trailer, about 2 times the capacity of an Freebird. Simply because no money being a student. 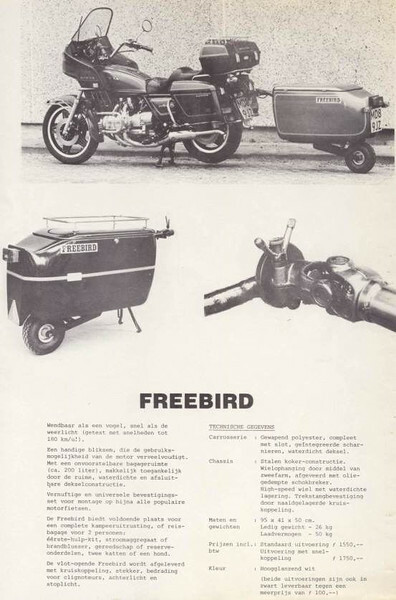 Like the Freebird I used a universal coupling, spider, out of a prop shaft, (see the attached brochure) had this connected with 4 M8 bolds direct behind the saddle of my CB750, above the headlight. actually I moved the headlight a little down. 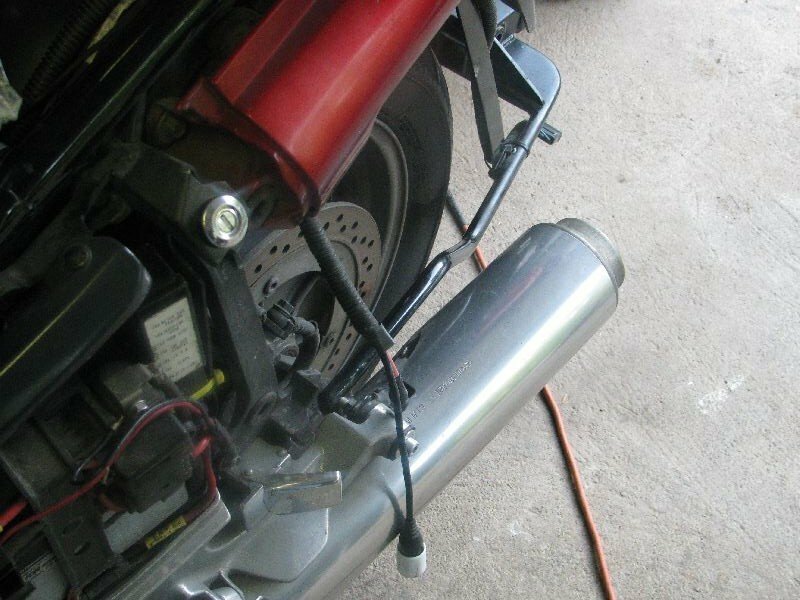 After that I started with the chassis, and to get as much room as possible inside the trailer I designed a kind of mono chock using the 2 original CB750 chocks. 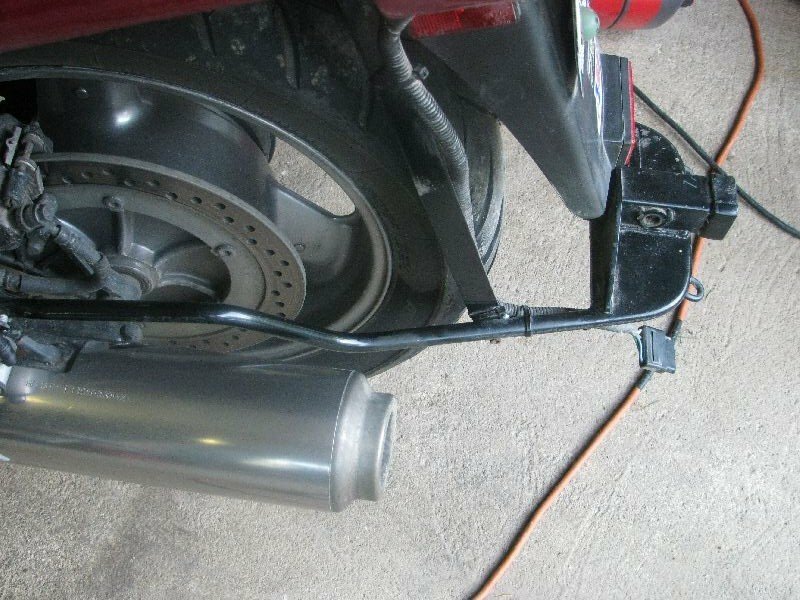 Still had them because I had changed the bike to that time superior Koni chocks including springs. Used a kind (new) industrial 10" wheel with a rounded tire from a small boat trailer or whatever what could take 80 miles or so. After a lot of welding, cutting, welding again and testing on the industrial estate with 50kg load sitting on the chassis, in the end the trailer did follow just great, even as the bike rear started to jump over put holes etc. Been over the Alps with it. You needed the back brake to assist, and for stability during braking, the single front disk was not that good. Still have the thing somewhere, and even the drawings. This is the only picture I can find now. Very good memory's though. Mine is a Uni-Go hitch. I fell into a good deal on Fleabay of all places. The PTO U-joint works well and slips on without too much struggle to get it aligned. 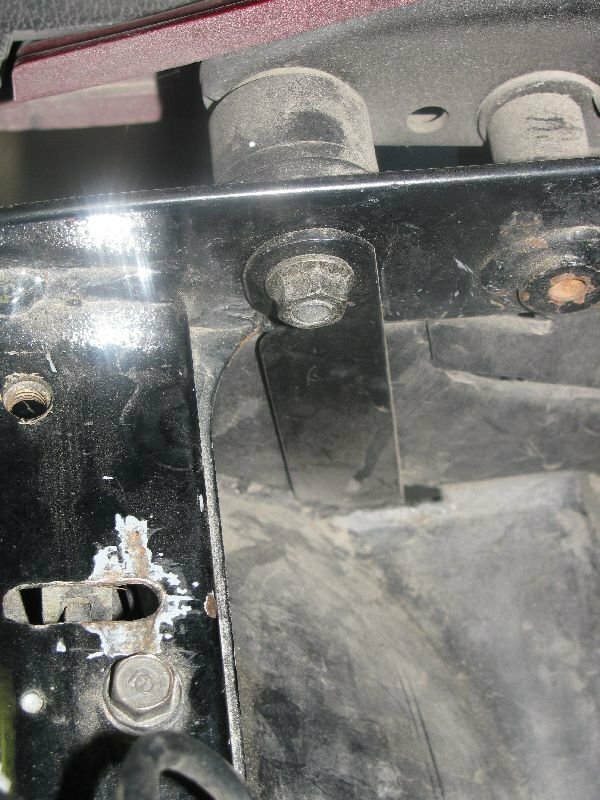 I did add some 5/16 set screws to it to take out the looseness that the needed clearance gives you. On the tire change issue, I did make a change to the Uni-go hitch. 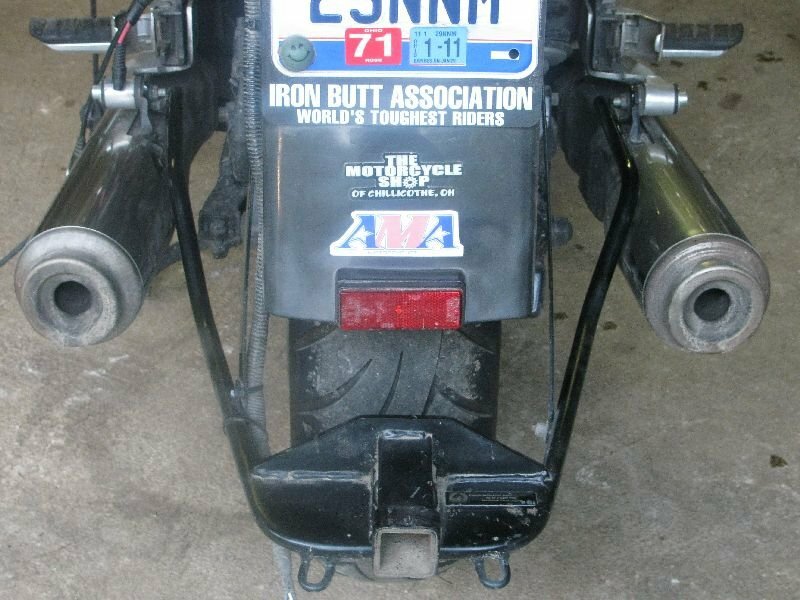 It only took my having to pay a shop one time to put my bike on a lift in order to change a tire that I did the following. Just aft of the rear vertical brace on both sides, I cut the tube that is about to make it's bend to follow the fender. I welder a stainless pin into the back piece, on both sides. Now I just take out a 1/4 20 stainless bolt that is held in place with a stainless nut, then take out the bolt that holds the vertical bars to the ones that go to the cans, give it a tug and I can change tires/wheels at will.